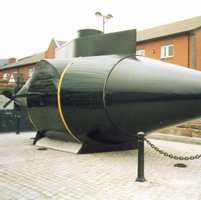 The Resurgam, the world's second mechanically propelled submarine, was designed and patented by a Manchester clergyman called Reverend George William Garrett. 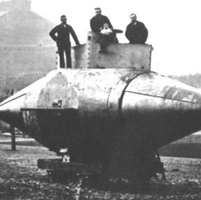 The submarine was built in 1879 by Cochran & Co in Birkenhead, at the time she cost £1500. 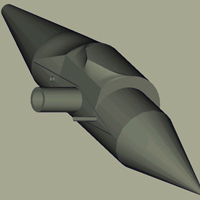 The Resurgam was fabricated using iron plates fastened over iron stringers and frames with the central section clad with wood retained by iron straps. She was powered by a closed system steam engine patented by Eugene Lamm in 1872, this provided steam to turn the single screw for up to four hours. Resurgam was designed to be positively buoyant so diving was controlled by two hydroplanes amidships. When built the Resurgam was 45’ long and 10’ diameter, weighed 30 tons and had a crew of three. After successfully completing trials in the East Float at Wallasey, the Resurgam was to make her way under her own steam from Birkenhead to Portsmouth for a demonstration to the Royal Navy. During the voyage, technical problems forced the crew to dock at Rhyl for repairs. Once the repairs were complete the crew set sail at night in a gale, towed by steam yacht. The yacht developed engine trouble so the crew of the Resurgam transferred to the towing vessel to deal with the mechanical problems. The conning tower hatch on the now unmanned submarine could not be closed from the outside so the Resurgam took on water. The towrope broke under the additional strain and on February 25th 1880 the Resurgam was lost somewhere off Rhyl. The submarine was rediscovered late in 1995 when she was caught in the nets of a Colwyn Bay trawlerman, Dennis Hunt. A local diver, Keith Hurley, freed the snagged nets and realised that they had found the Resurgam. 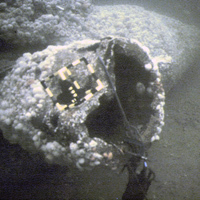 The Resurgam was designated protected wreck no 42 on 6th July 1996, the site covering an area 300m in radius. The enthusiasm shown at a public meeting about the Resurgam led to the organisation of the SUBMAP project by Martin Dean and the ADU. 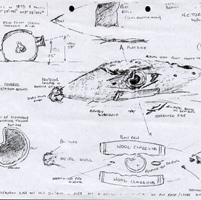 This project ran from 4th to 15th June 1997 and used sports divers along with avocational and professional archaeologists to complete archaeological work prior to the intended removal of the submarine to a safe location. 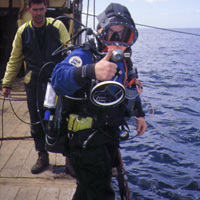 Many of those involved were recruited through the Nautical Archaeology Society (NAS) and would attend for anything from the full two weeks of the project to just a quick visit to dive on the site. The dive support vessel Terschelling remained on site for the duration of the project and was visited daily by other dive boats coming out from Rhyl. 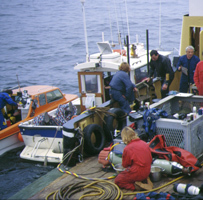 Terschelling provided a platform for the surface supplied diving gear used by the archaeologists excavating the site under the direction of Alex Hildred and was also the centre of survey operations using a Sonardyne underwater positioning system and a Hyball ROV. Shore side arrangements were based at Rhyl Yacht Club and were managed by Garry Momber who at that time was with the NAS. An interim report was provided to the Committee on Historic Wreck in October 1997 but a comprehensive report on the project has not yet been published. The issue of the report was again raised in 2008 and as a step towards its completion it was decided to collate and reprocess all of the information that was available about the Resurgam site. Numerous diverse datasets were digitised then collected together using the Site Recorder 4 program, this program allows easy and efficient access to the documentary archive. Using Site Recorder also allows the electronic publication of the entire documentary archive, as done for other sites including the archive for the recent excavation of the Mary Rose. All of the survey data was reprocessed and was used to create a digital site plan; this was further enhanced with details from the numerous SUBMAP dive logs and the hours of video footage from the Hyball ROV. 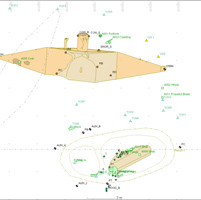 The resulting digital plan can be used to show the site at any stage from the present day back to a reconstruction of the site when the submarine first sank. Information about the finds recovered then reburied during the excavation was added to the archive along with geophysical data collected during a number of different surveys. A large quantity of photographs and pictures were scanned and added to the Site Recorder file along with scans of documents relating to the Resurgam and to SUBMAP. The entire digital archive was then made publically available on CD and via this web site. The version available on CD contains all of the site information along with 30 MB of high resolution images and 57 MB of documents. The version that can be downloaded for free from the Web contains the same site information but includes low resolution images and just a record of the documents rather than copies of the documents themselves. The archive was collated and processed using Site Recorder 4 but can be viewed using the free Site Reader program available from the same web site. A full size replica of the Resurgam can be seen at Woodside ferry terminal, Birkenhead.